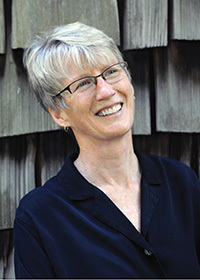 Catherine Reid directs the undergraduate creative writing program at Warren Wilson College, where she teaches courses in creative nonfiction and environmental writing. She is the author of Coyote: Seeking the Hunter in Our Midst and of essays that have appeared in such journals as the Georgia Review, Fourth Genre, Bellevue Literary Review, and Massachusetts Review. She lives in Asheville, North Carolina.